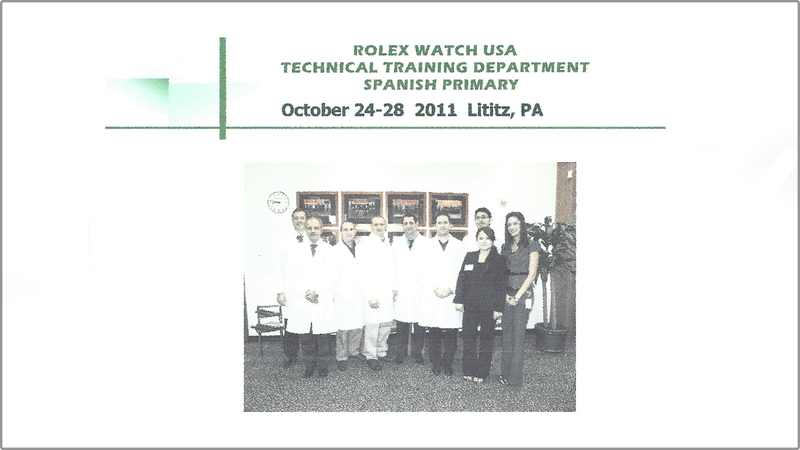 At Chrono Sky watch workshop we strive for excellence and perfection. With over 20 years of experience in the industry. 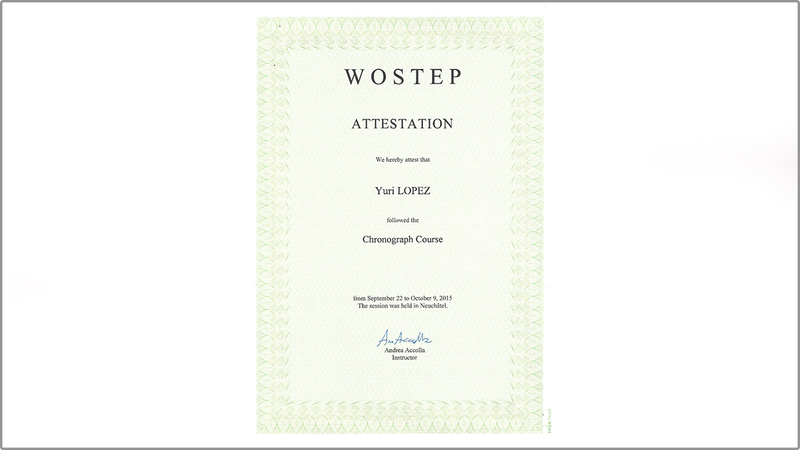 Our team of watchmakers are certified by CW21, Swatch group U.S., Breitling, technically trained by Rolex, and trained in Chronograph by WOSTEP in Neuchatel, Switzerland. We extend our knowledge and ability to our clientage and offer luxury standard service. Yuri Lopez, born in Camaguey, Cuba in December 10th, 1968. In his youth, he would often visit his uncle’s school of horology. There he developed an interest in his uncle’s microscope and would always find himself staring at, if not playing with the device. Yuri’s uncle to prevent the boy from breaking the microscope, began to sit him down and teach him about the tools, and the mechanism of the timepieces. He grew passionate about the mechanical side of the business and decided to become a mechanical engineer. 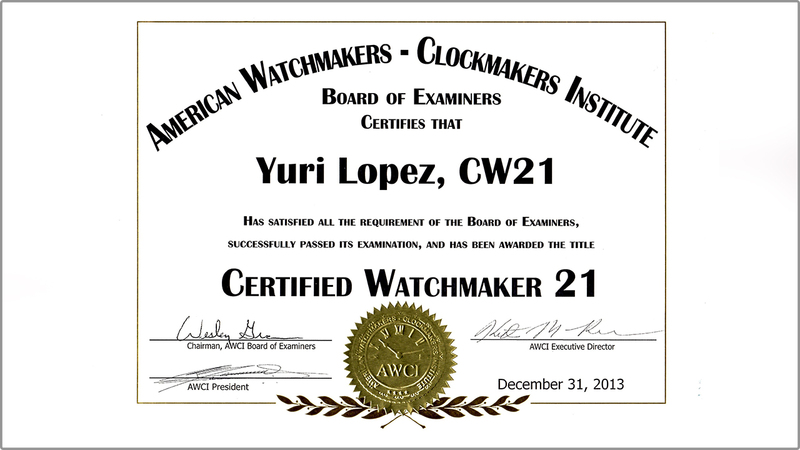 Yuri worked as a mechanical engineer for one year, but missed working with watches immensely. Which led him to decide to become a watchmaker himself. 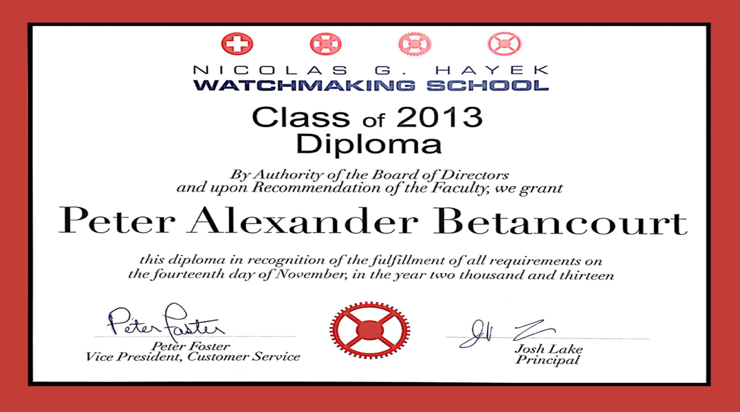 He studied for two years in the School of Camaguey, there he received his certificate of completion as a watchmaker. 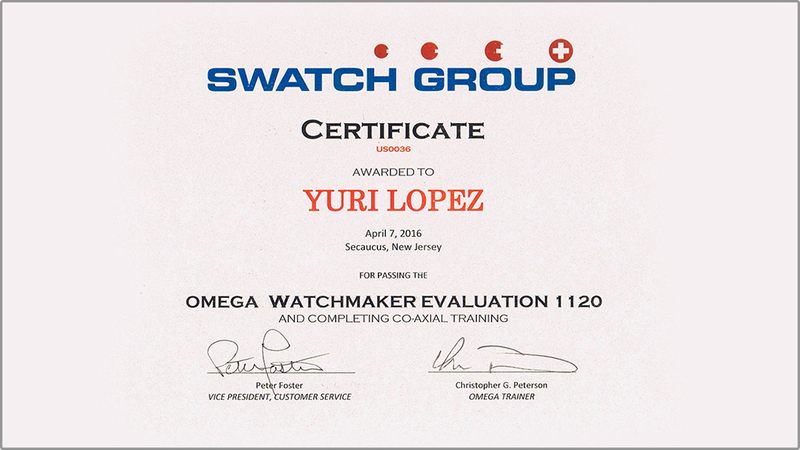 After becoming a watchmaker and having a mechanical engineer degree, Yuri Lopez envisioned transcending the field of watchmaking by merging both industry to build a watch workshop with the optimal resources of the industry in twain. then 11/2011 and passed. 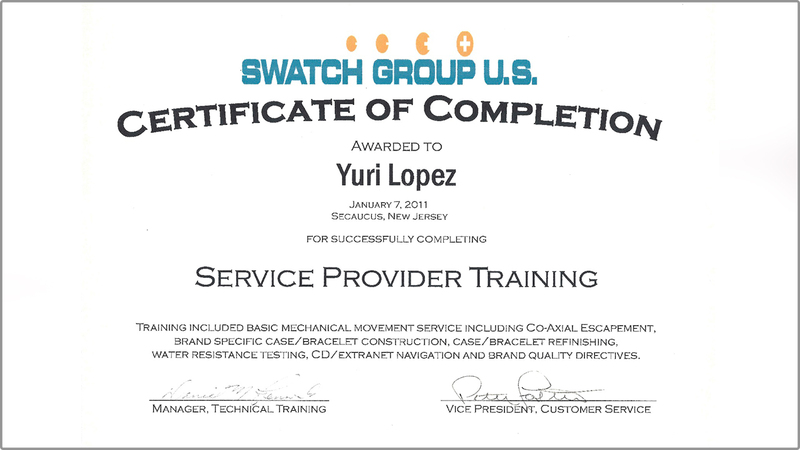 January the same year, he attended the Swatch Group Service Provider Training Co-Axial and passed. 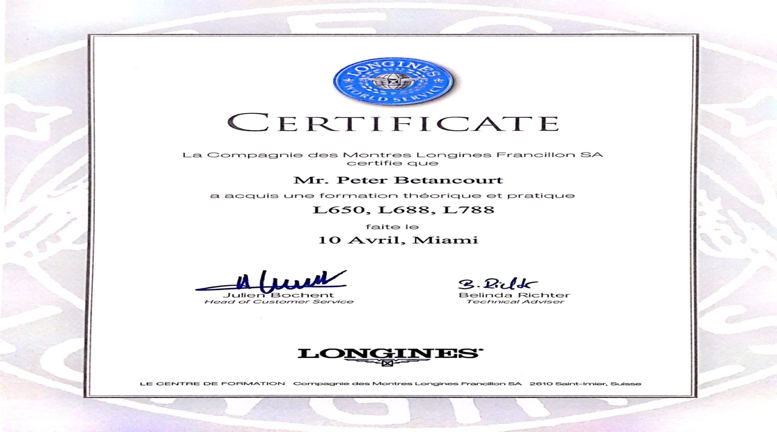 He is now certified for Super quarts, Emergency Watch, and Chronograph 7750, 2824, 2892 among others related. 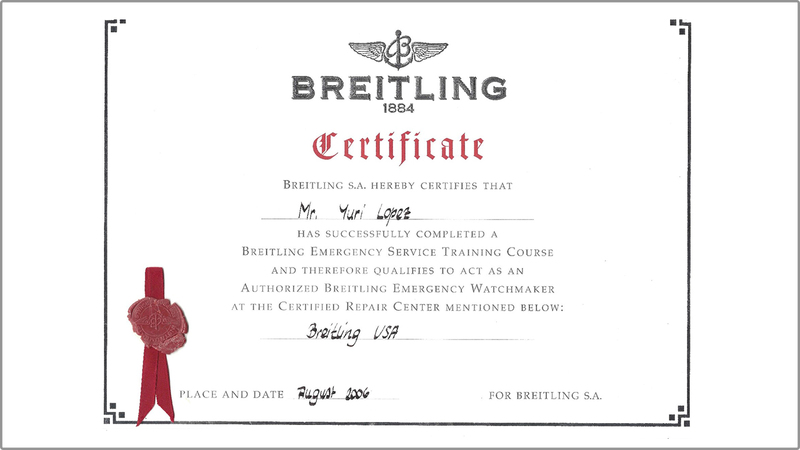 The work as a watchmaker – Quality control and Watchmaker in Breitling USA in Miami, FL and before opening his own watch workshop, Mr. Yuri Lopez moved to Lima, Peru where he worked for a year as a watchmaker. 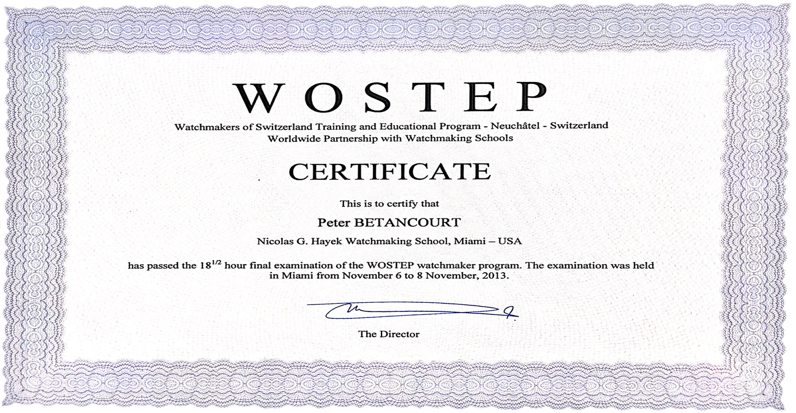 Mr. Yuri Lopez is working as one of the many watchmakers in is watch workshop in Miami, FL.and had gotten certified for the Omega evaluation 1120 and Co-axial training, WOSTEP Chronograph Course from September 22 to October 9 2015 the session was held in Neuchatel, Switserland.